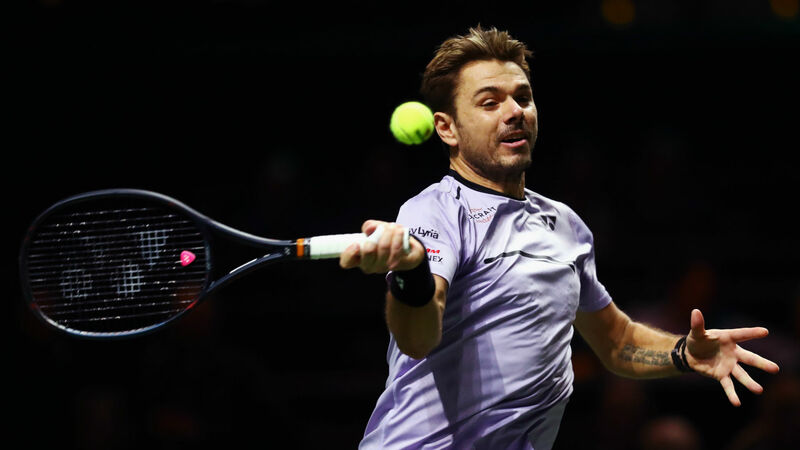 Stan Wawrinka got back to winnings ways by defeating Benoit Paire in straight sets in the first round of the Rotterdam Open on Monday. Former world number three Wawrinka, yet to return to his previous heights after serious knee injuries, staved off three set points before clinching a tie-break and he reeled off six games in succession to complete a 7-6 (7-4) 6-1 triumph. The victory represented the Swiss' first since the opening round of the Australian Open, having suffered back-to-back defeats against Milos Raonic – who he could face in the second round in Netherlands – and Marius Copil. Paire was unable to convert a break point while leading 5-3 in the first set and he passed up two opportunities to serve it out, and Wawrinka made sure to punish him by claiming the tie-break and racing to victory. "It was difficult to play against a good friend and we played some good shots. Winning the first set was the key and I played with confidence in the second set," said the 2015 champion Wawrinka. "I feel good in general. I had a good off-season and took the time to get back in shape. I now need matches to build my confidence, but I have to be patient with that. It was a long year to get back physically, but now I'm playing well." Swiss star Stan Wawrinka says he feels happy after his first round win in Rotterdam. Hyeon Chung was unable to make the most of winning the first set as he fell to a 4-6 7-6 (7-1) 6-2 defeat against Nikoloz Basilashvili. Andreas Seppi also required three sets to see off qualifier Peter Gojowczyk 7-6 (7-3) 3-6 6-2, while Mikhail Kukushkin eliminated home hope Robin Haase 6-2 7-6 (7-4).